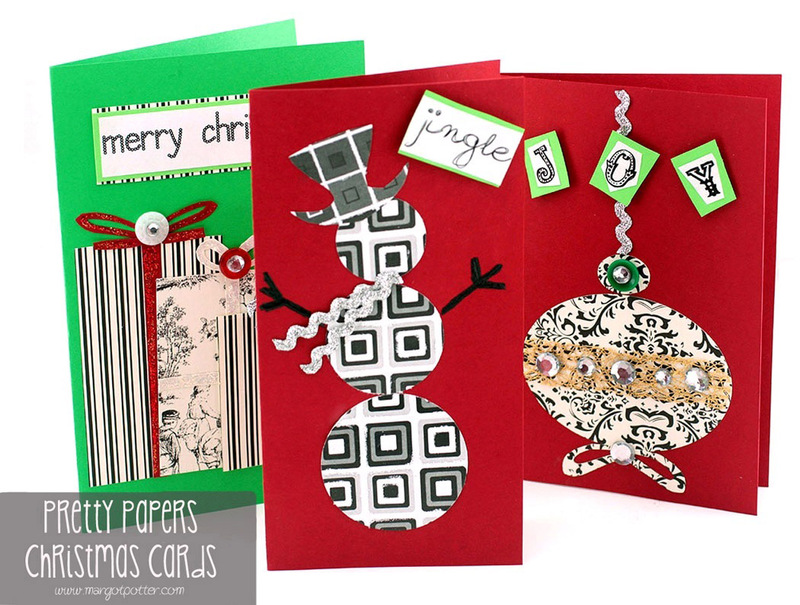 It's all about Pretty Papers DIY Christmas Cards in today's fun filled tutorial! Ho, ho, ho! The holidays are upon us! It's easy to just buy some generic Christmas cards at the bargain stores, but it's much more fun and rewarding to make your own. And I bet you already have the ingredients in your craft studio closet! 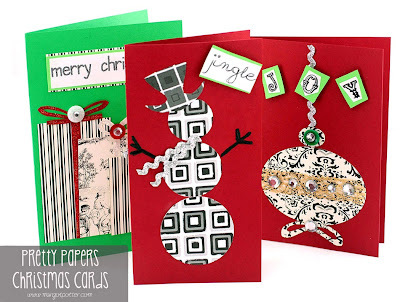 I used patterned scrapbook papers, cardstock, shape cutters and various sundries from my crafty coffers to make these three adorable cards as fast as you can say, "Kris Kringle" and you can too. Aleene's adhesives and Tulip glitter and beads in a bottle are fabulous for paper crafts! 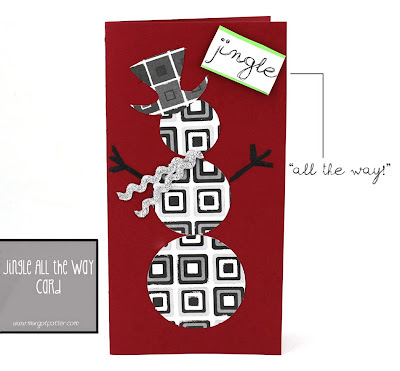 To make the 'Jingle All the Way card', cut out three circles graduating in size to fit front of card. Cut the hat shape freehand. Fold cardstock and score with bone folder, trim excess paper. Attach circles and hat with glue runner. Attach rick rack scarf with Tacky Glue. Use black matte dimensional paint to draw stick arms. Print text (jingle all the way)on computer using a handwriting font. Use Beads in a Bottle or glue and loose glitter to add sparkling accents to snowman's body. Cut out 'jingle' and stick on green card stock to frame. Stick this on front of card with a foam dimensional sticker. Cut out 'all the way' and stick on green cardstock to frame, adhere to inside center of card with glue runner. To make the 'Joy to the World' Card cut out a large and a small oval using the Fiskars shape cutter. Freehand cut a bow shape (fold paper segment in half and cut.) Fold card and crease with bone folder, cut any excess paper with trimmer. Attach paper shapes to card as in picture using glue runner. Attach a ribbon segment across front of larger oval using glue runner. Glue rick rack trim above smaller oval and button and faux rhinestone accents with Original Tacky Glue. Allow to dry. 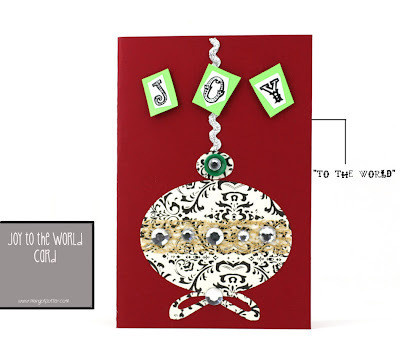 Print "Joy to the world." Cut out 'j' 'o' and 'y.' 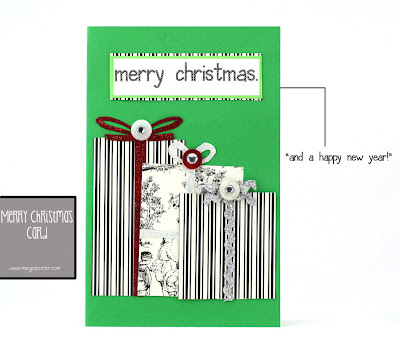 Layer on green cardstock and cut as in picture. Attach to card using foam stickers. Cut out 'to the world' and layer on green cardstock and attach to center of inside of card. To make "Merry Christmas Card" cut out three graduating in size rectangles using patterned scrapbook paper and the Fiskars shape template. Cut out stripes and bows using red and white card stock and rick rack trim. Attach papers and trims to front of card as in picture. Print 'merry christmas and a happy new year'. 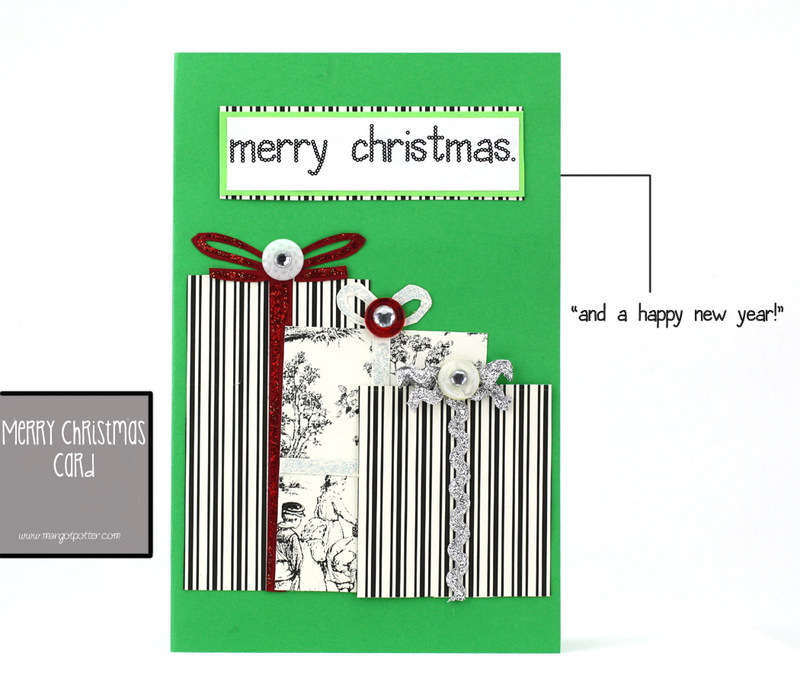 Cut out 'merry christmas' and stack on a lighter green cardstock border and a second border of coordinating scrapbook paper. Attach to front of card using glue runner (rick rack bow will need to be glued to card.) Cut out 'and a happy new year' and attach to lighter green card stock frame and center inside of card. Using Beads in a Bottle or glue and loose glitter, add sparkles to paper bows and ribbons. Glue buttons on center of bows and glue rhinestones and Glam it Up crystals into button wells with Tacky Glue. Thank you for your suggestions. (I just posted a long comment - or thought I did - seem to have lost it.) Sorry. I recently purchased some card stock in beautiful colours - shades & tones - & need to start putting it to use. I like to use ribbons, buttons, wool & fabric. So, we'll see what I can come up with. I, too, am a bit of a dinosaur when it comes to all the new technologies. Started in typesetting when it was on paper Telex teletype strips.